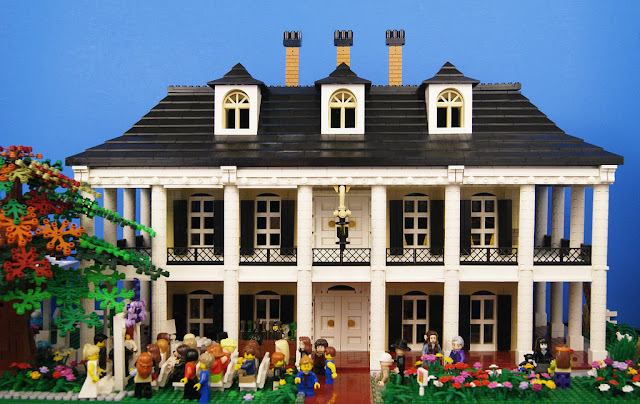 LEGO fan and flickr.com user SEBASTIAN-Z shared this beautiful plantation house MOC in his photo-stream. Both the exterior and the interior of the house was designed nicely and historically accurate. 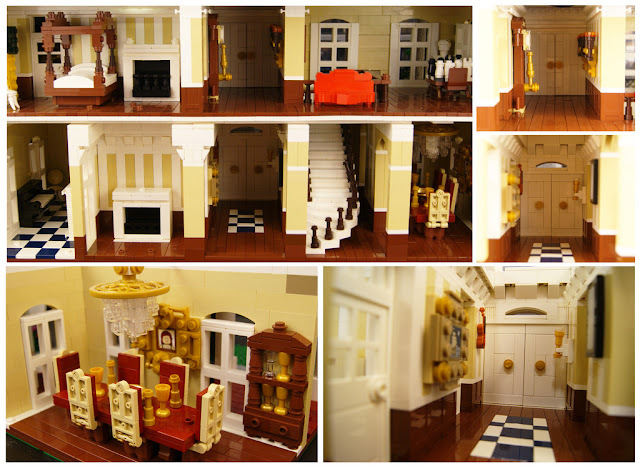 The interior is actually amazing with furniture and many small details. My favorite room is the dining room with that fabulous chandelier built with a golden wheel piece and clear pieces underneath.